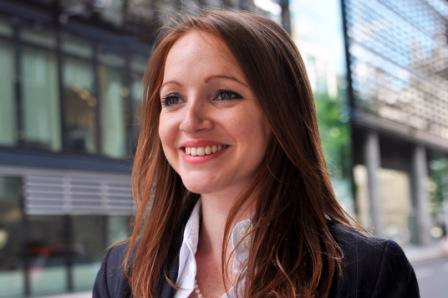 Add your skills and be contacted for gig-work... enjoy our 2min video and download FREE today! 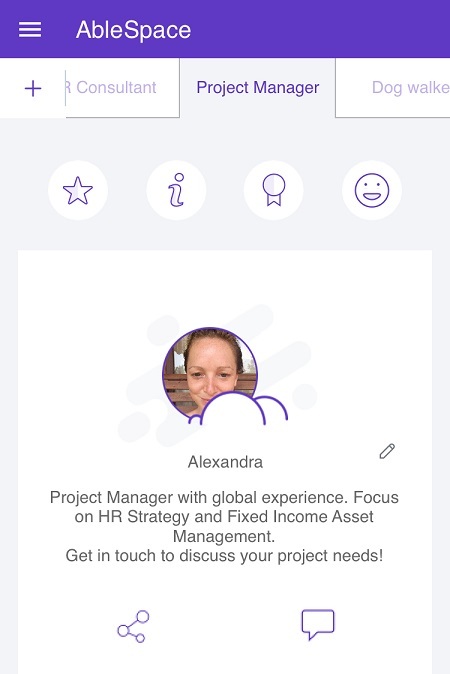 Download now and find work in your community. Choose where and when you want to be available. 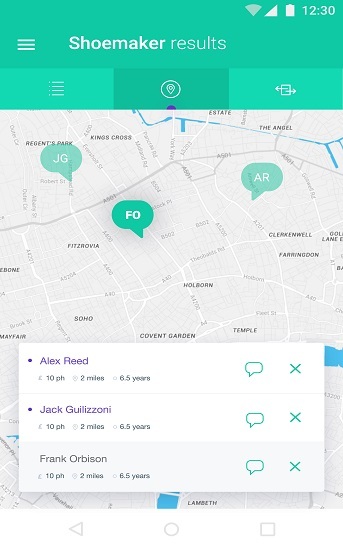 Search locally for a peer to work with. Download now and find help in your community. Let people know you are looking on Able for help with your tasks! Choose if you are able or searching for someone able. Add details about your abilities. The more detail you add - the more it helps people understand your value! Searching is easy in able! "Able helps people trade their skills"
Sign up to our newsletter and stay in touch with us by entering your email here! 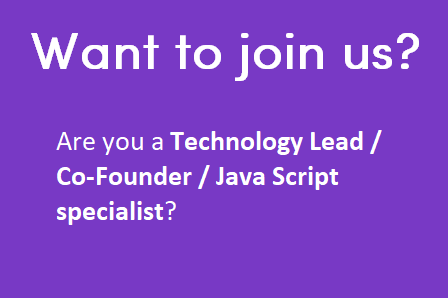 Click the job specification below to find out more and apply. We are mobile and web developers, in love with pixels and mobile technology, ready to help you on your path. We design integrated brand experiences for the world’s most valued organisations. 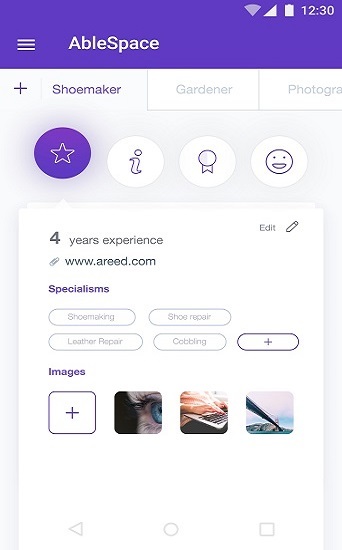 Able app is the free peer-to-peer skills marketplace for independent workers. We are a mission business dedicated to bringing change to the digital labour market by helping people be found for work, i.e. helping you be funemployed! 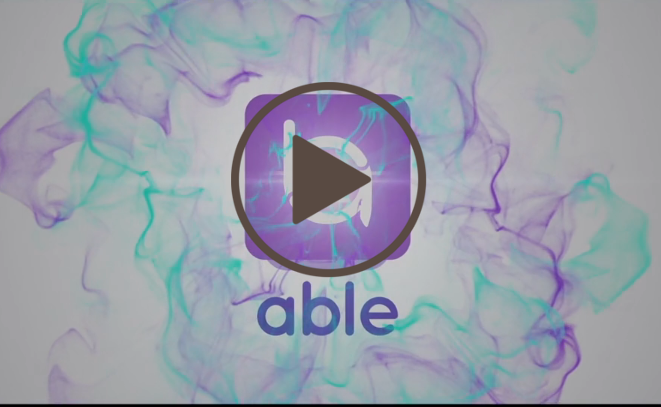 Able is the peer-to-peer skills-sharing marketplace: a new way to work. Able provides free technology to support local skills trading. 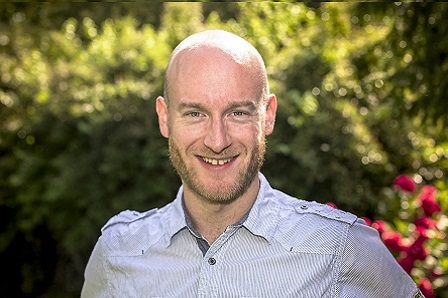 Able connects those who have registered their ability in an AbleSpace, with users searching for help with a task. The app is peer-to-peer which means Able connects you directly to one another. 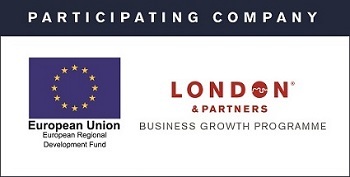 Able will help you find opportunities for trade relationships more efficiently. The app does not manage your trade relationships; the success of these is up to you. Able believes there is valuable talent in everyone, and anyone who wants to share their abilities, can do so. AbleSpace is a global skills template which works for any ability; no matter who you are, or what work you do. If your ability is not on the list, simply Ask Able in the app to add it to the list. You can add up to eight different abilities on your AbleSpace. Let your network know you can be found on Able, and wait to be contacted by people searching! Is Able really for everybody? Yes. If you have special needs you can share these with potential trade partners on your AbleSpace. Why is Able a good idea? Able was built for the growing gig economy and to help communities trade. Local labour markets are underserved by civic technology and Able changes that. The peer-to-peer marketplace connects AbleSpace (sellers) and Buyers; replacing costly agents and middlemen. Able is free for everyone. 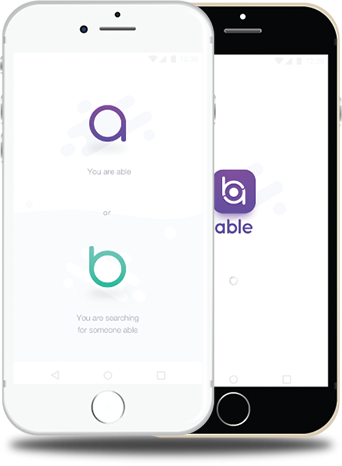 Able gathers basic details about the two people involved in the trade: their location, distance willing to travel, experience, value or cost and details about their abilities, or the help they are looking for. Buyers are then then directly connect with people who want to help them. What are the Able Values? Able created the Able Values (accessed in ‘Settings’ within in the app) to help you. Behaving according to these values will assist your trade relationships and lead to more positive task outcomes. Able Values are guidelines , their adoption is encouraged and will be regularly communicated to you through Able social media channels. Why can't I rate people in Able? There are no ratings or scores in Able. Able believes there is talent in everybody, and that rating or scoring abilities or performance numerically is a disservice to the individual who performed the task. You can invite anyone using Able to provide you with Recognition for your Ability, by sending a recognition request to another user. When you get a reply, you have a choice whether to publish on your AbleSpace or keep private. What are the share ability and share task functions for? When you update your AbleSpace with a new ability you are invited to share that detail on social media channels to promote your availability. When you search for help with a new task you are invited to share that search on social medial channels to promote your network search. 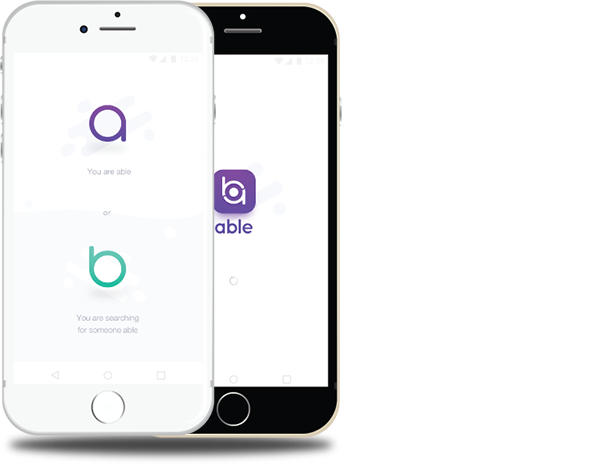 Later this year, Able will launch a payment gateway to help users book and pay one another. This payment gateway will include a micro-fee for Able to support the marketplace operations. Got an idea, issue or question? Go to ‘Ask Able’ in settings, reach out on our facebook group www.facebook.com/able.global/ or message info@able.global. We will do our best to get back to you. I would like to work at or with Able - what should I do? 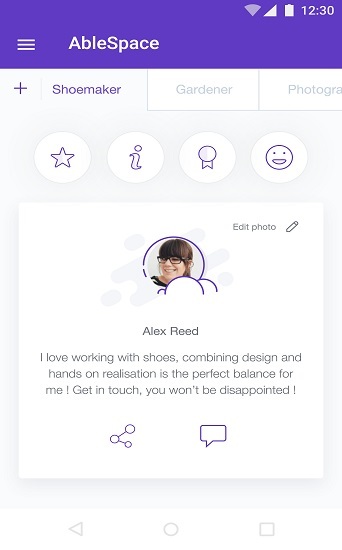 This is my profile in Able, why not create your own?